February 2, 2015 — Pittsburgh, Pennsylvania. 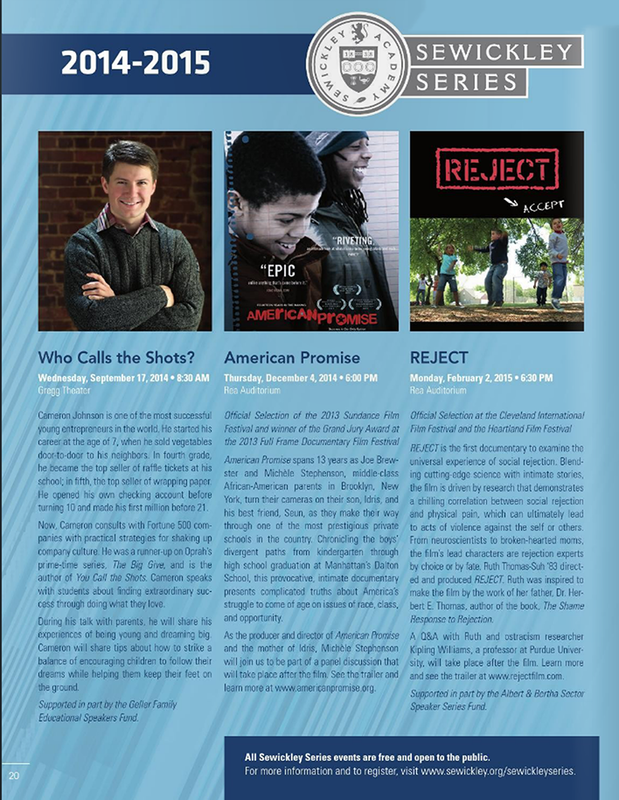 – Sewickley Academy presents “Reject”. 6:15pm open to the public, featuring post-screening discussions with director Ruth Thomas-Suh and ostracism expert Dr. Kipling Williams. This entry was posted in Screening. Bookmark the permalink.